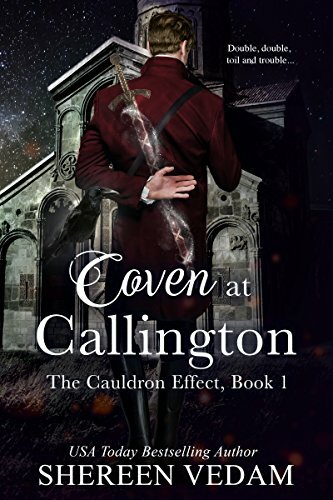 about this book: Coven at Callington is a unique take on witches. If you think you know all about witchcraft, then dare to be challenged as you enter this seductively dark vision that reveals an untold truth about witch hunts and church guards. You'll find this fun alternate-history novel full of surprises. A fantasy romance set in 1815, where brownies, pixies, and angels co-mingle with hellhounds, witches and deities, in this modern take on fairy tales. What's the story behind the trappings? A missing child. A coven in danger. And the church blundering into a three-hundred-year-old war. The church guard believes witches are evil. The Coven Protectress doesn't trust the church or its guards. Can they still work together to save a child? What's the theme behind the story? Legend goes that they arrived here three centuries ago. They're still in hiding. Sometimes, time doesn't heal all wounds. • "I love Coven At Callington. The character's depths, conflicts, abilities to learn and revise long held beliefs - GREAT! It went way beyond the usual."